The team started with Gorazd, as he was always interested in entrepreneurial ventures. At that time he was working as a CTO for a web flight search engine for low cost flight. After a few months and he realized in those months that coding for web was not his passion and decided he wanted to follow his artistic dream and study 3D animation. Gorazd and Blaž have been friends for the last 20 years, where they met each other in primary school then high school, ended up in the same university. With Gorazd focusing on art and Blaž being a capable developer, they spent some time in R&D figuring out what kind of games they want to make. Along the way they recruited Kaja, another high school friend with a unique artistic prowess and a financing background. They discovered that there were not many multiplayer games in mobile game market, so that was their starting point. Together, they saw an open door in real-time multiplayer games for mobile markets being a huge potential in the foreseeable future. Committed to this path, they ended up making Fur Fight. Fur Fight is a free to play multiplayer game that transports the player into a jungleish world where furry animals fight to keep control of the land. The game has short rounds, where one player is placed in arena with three other players. The only rule the one who has the most kills wins the game at the end of the round. They noticed that animal humor has been absent in the last 10 years in games and was actually quite popular in the 90’s, so they thought it was time for a comeback. Gorazd stumbled upon the GameFounders program by a random act of Googling. On top of that, Gorazd met Reinaldo Normand (a partner of GameFounders) by accident in one of the game industry conferences in Sweden. After a short chat resulted in a mutual understanding as well as mutual interest. 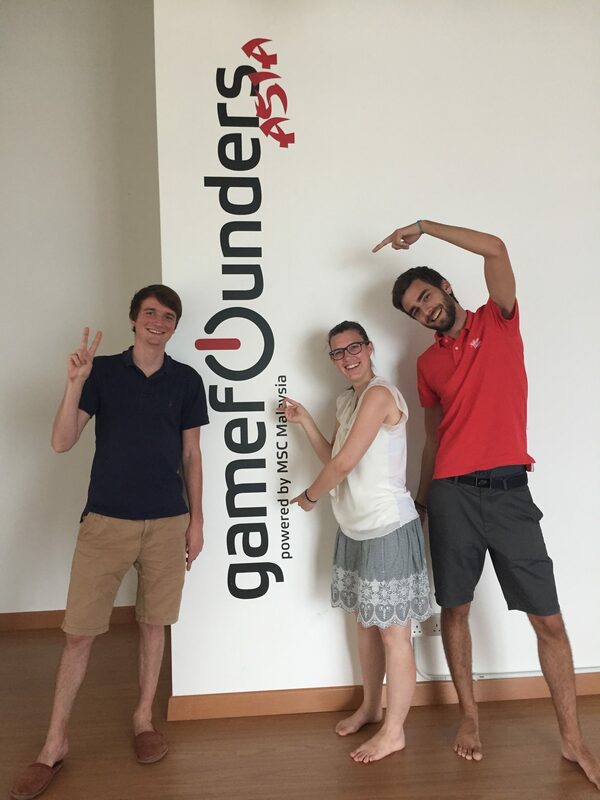 At GameFounders, they want to learn the things in the game industry that they don’t know about. With the industry changing on a daily basis, they find keeping up to date is of high importance. Networking is also another key aspect, as Gamefounders an entry point to many big leaders of the industry through their network. They consider this experience to be a really good one and they are learning something new everyday and hopefully that would one day that put their name in the map.